In this day and age, a growing number of people are becoming more health conscious and are striving to eat and lead a healthier lifestyle. But even in our pursuit of healthier living, it can be difficult to give up certain foods, especially fried dishes. We all love our French fries and fried chicken, and it can be hard for most people to give them up. Fortunately, thanks to advancements in technology, people can still enjoy their fried foods without cooking in a lot of oil and still enjoy great tasting food. Air fryers provide a solution that is not only simple, but also affordable. This appliance offers an excellent alternative for those looking to reduce fat intake without having to give up their favorite dishes. What’s more, these appliances prepare the same foods just as fast. Due to the multiple benefits of oil-less frying, the popularity of these appliances keeps growing, leading to the development of multiple brands. One such brand that has caught my eye is the Avalon Bay Air Fryer. The Avalon Bay Air Fryer comes with a lot of features to provide consumers with high-quality cooking at an affordable price. This air fryer can bake, grill, roast and most importantly fry with the same ease. 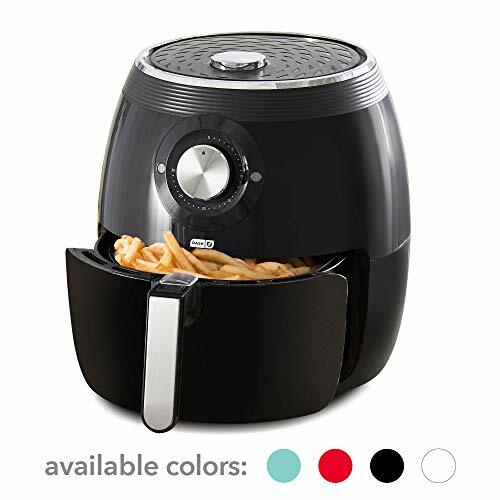 The concept behind the Avalon Bay Air Fryer is to cook food using hot circulating air as opposed to dipping food in excessive amounts of oil. It uses Raid Air Circulation Technology, which is similar to what is used in miniature convection over, but with added advantages. The unit is heated by a powerful heating element that sits over the cooking pan. A fan over the heating element distributes the hot air evenly to all areas of the food, allowing it to cook uniformly to produce the best “fried” results. 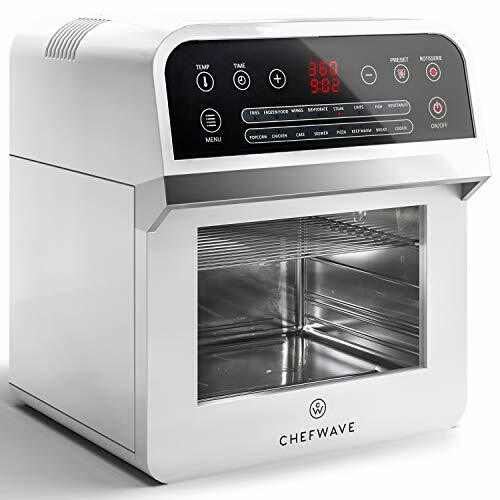 This air heating technology allows you to prepare different types of food with little to no added oil. As a result, you will end up consuming fewer calories while still being able to enjoy your favorite foods. The control panel contains an adjustable timer and a digital temperature control that is also fully adjustable to 400ºF. It has 8 inbuilt cooking cycle modes including; Pizza, Chicken, Steak, Fish, French Fries, and Cake. Even so, users can still adjust it to their preference personalized cooking cycle settings. It features a pleasant alarm that rings at the end of a cooking cycle to alert you when it is almost done the cooking. This means that you will not have to worry about forgetting to turn it off as it contains an automatic off feature. The Avalon Bay Air Fryer features some non-slip feet that prevent it from sliding around your countertop when cooking. It has a detachable non-stick cooking pan, and a wire mesh bin/basket that is also dishwasher safe. It contains a non-stick baking dish and a multi-use layering rack. Consumers also get a 52-page recipe book that has a variety of recipes for appetizers, snacks, desserts, and main dishes with step by step instructions. This product is highly recommended for busy foodies and people looking to eat healthier meals. It cooks fast, is easy to clean, convenient, and most importantly, lets you enjoy your food without having to worry about piling up calories. This air fryer is designed to accommodate multiple accessories, all which work to increase its functionality. 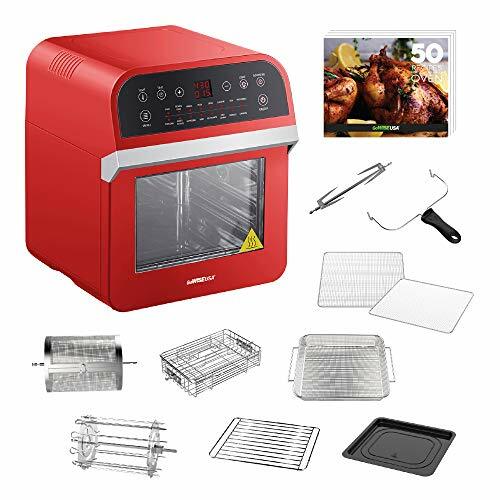 Some of these accessories include its non-slip feet, 2-piece baking set, removable baking dish and basket, a metal roasting rack among other. With these accessories, you are given the power to use the fryer for several cooking-related tasks. Its rapid air circulation and XL fan technology assure users of excellent results. This appliance not only removes excess oil from food, but it also ensures the food is adequately cooked, has a uniform texture and has a tantalizing brown color. It provides the surest way of preparing the healthiest and tastiest foods that are partially or entirely devoid of excess fat. It does this by eliminating the need to immerse food oil, especially in the case of deep frying. The powerful XL fan technology allows it to drain excess fat from the food. It is quite affordable considering its quality and the number of features it comes with. All parts and components on this air fryer are made of sturdy material that is resistant to elements of wear and tear. This appliance consumes 1400 watts of electrical energy, exerting higher utility bills. It requires some learning to run successful operations. 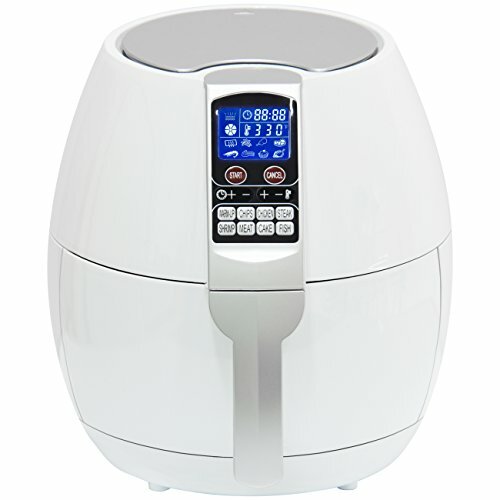 The Avalon Bay Air Fryer has one of the best price to feature ratios available. Compared to its competitors, the Avalon Bay Air Fryer offers a lot more features of functionality at a more affordable price. 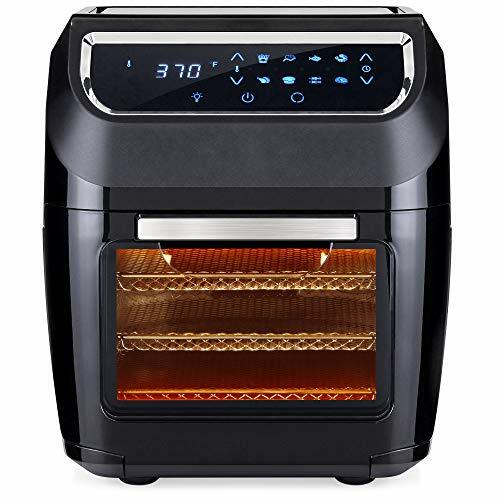 For instance, Avalon Bay Air Fryer has a higher cooking power of 1500 watts with a maximum cooking temperature of 400 whereas Philips HD9641/96 Airfryer, which retails at $249 and only has 1400 watts and a max temperature of 390. Avalon’s air fryer also has a smaller and more compact design compared to the Phillips air fryer, meaning it takes up less space on your counter top. 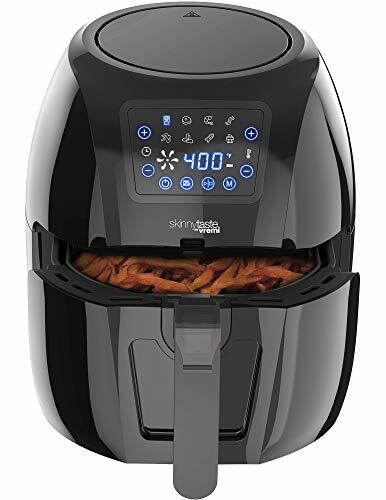 All factors considered, the Avalon Bay Air Fryer is a worthy purchase that prepares healthy foods as well as carries out other cooking-related tasks. Its performance, quality, design, and style distinguish it from the rest on the market. 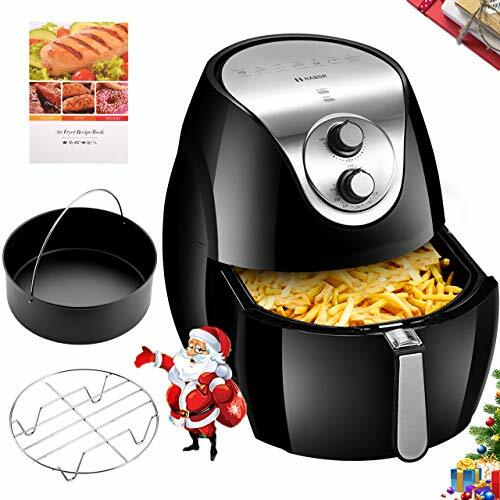 This air fryer can cook French fries to perfection and even bake delicious soufflés. It is also durable and quite affordable and comes with a recipe book to give users suggestions and tips to guide them in preparing various foods. Taking all these features into consideration, I give it a solid 4.5/5 rating. These features make it an air fryer of choice and highly recommended.